Serving Ohio: Bowling Green, Defiance, Findlay, Maumee, Napoleon, Northwood, Oregon, Perrysburg, Sylvania, Toledo, and Wauseon. Clean Team is a leading commercial janitorial service provider in the Toledo area. Whether you are a large manufacturing facility, a mid-size healthcare provider, an educational facility, or a small office, Clean Team is capable of designing a customized cleaning program to meet your business’ professional cleaning needs. 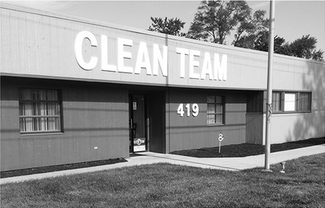 At Clean Team we have professionally trained managers and cleaning associates who are local to the Toledo area. We value the security and safety of our clients. All employees undergo nationwide criminal background screening before placement at a job site and must wear a uniform while working. Clean Team is the best way for Toledo-based businesses to keep their facilities sanitized and operational. Clean Team allows you to focus on becoming the most successful business possible, since we take care of making sure that your facility is ready for business each day.